At Friday night’s inaugural balls, Melania Trump got her first opportunity as first lady to show off her fashion sense at a formal event. Celebrating the new president with a ball is a tradition that dates all the way back to our first president, when one was held in George Washington’s honor in New York City, according to the Joint Congressional Committee on Inauguration Ceremonies. 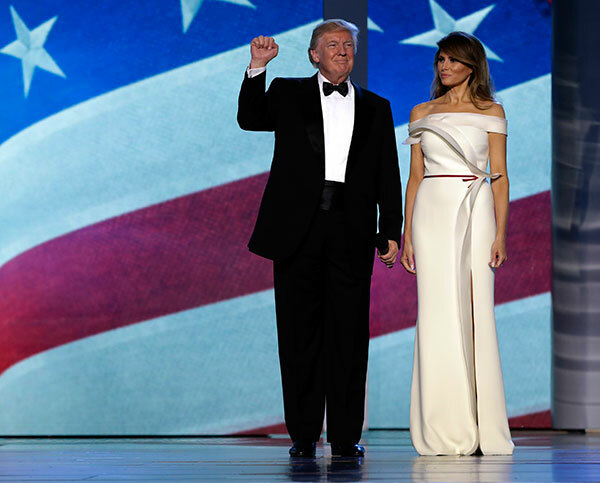 It was not until 1809, however, that the first official inaugural ball was held in Washington, D.C.